Minnesota cabin offers space, comfort and style! 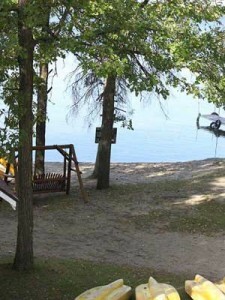 The ultramodern Northwoods “Cabin 14” at Loon’s Nest Resort in Park Rapids offers a spectacular lake view, plus it’s the perfect accommodations for larger families or groups. You will enjoy this clean, comfortable four-bedroom, with two bedrooms and a bathroom in the loft area. 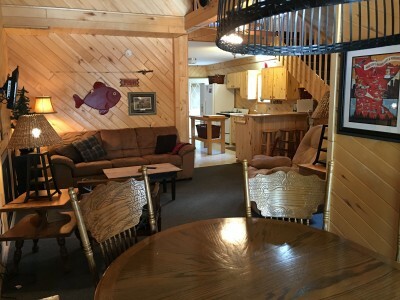 This housekeeping cabin with Cable TV, has a fully-equipped kitchen with breakfast bar, fridge, microwave, cooking utensils, coffee maker and toaster. 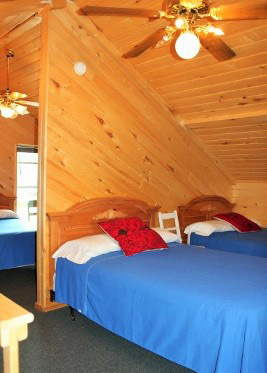 The spacious Minnesota cabin offers two queen-size beds, four double beds, twin on porch. The full bathroom includes both a tub and shower, and the 3/4 bath has a shower for your convenience. In this nicely decorated vacation rental, you’ll also find a porch and gas fireplace. Rates based on 12 Sleeps 13 max.